The network of consumers and resources that comprise fluvial food webs is supported by a diverse mix of energy supplies that originate within the stream and beyond its banks. These include the living resources of algae and higher plants, and the nonliving resources of particulate organic matter (POM) and dissolved organic matter (DOM). Microorganisms are important mediators of organic matter availability and there is increasing evidence of their importance as a resource to both small and large consumers. Additionally, energy subsidies in the form of falling terrestrial arthropods and the eggs and carcasses of migrating fish contribute to the support of many stream-dwellers. Nor is all of the energy provided within a stream reach consumed within that reach, as downstream export, insect emergence, and fish movements supply energy to distant ecosystems. Trophic organization in river ecosystems can be complex and indistinct. Many consumers are po-lyphagous rather than monophagous, and exhibit considerable overlap with one another in their diets. The gut contents of invertebrates usually are difficult to distinguish, so these consumers often are characterized by the unspecific term of herbivore-detritivore. At least in temperate waters, the vast majority of fishes eat invertebrates. As a consequence, while a particular species may be classified solely on the basis of what it eats - herbivore, predator, detritivore, and so on -the resulting categories are of limited usefulness because they offer very few distinctions among feeding roles. However, further resolution can be achieved by distinguishing among feeding roles on the basis of how the food is obtained, rather than solely in terms of what food is eaten. When several species consume a common resource and acquire it in similar fashion, they are considered members of the same guild. Thus, a fish species that captures invertebrate prey directly from the bottom would occupy a different guild from another species that consumes the same prey, but captures them from the water column. 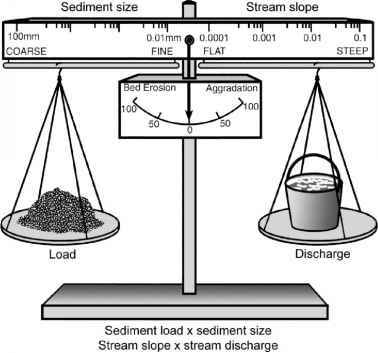 The guild concept is useful because it provides a reasonable degree of subdivision in feeding roles for both invertebrate and vertebrate consumers in streams, where the high degree of polyphagy frustrates adequate subdivision using food type alone. The particular species in a guild may change seasonally or geographically with, one presumes, little effect on trophic function. When invertebrates are divided into feeding guilds on the basis of what is eaten and how the resource is obtained, we refer to these categories as functional feeding groups (FFGs) (Cummins 1973), but the meaning is the same. It is important to note that members of different invertebrate functional groups may consume the same resource: for example, fine particulate organic matter (FPOM) can be captured from the water column or collected from depositional locales. The main difference is not the resource, but the organism's method of acquiring it. Historically, the study of trophic relationships has emphasized the larger animal consumers, but a growing appreciation of the role of microorganisms coupled with methodological advances have led to a better understanding of the importance of microbial food webs. Biofilms, in particular, have been shown to be important energy complexes where algae and microorganisms living in close association are able to capitalize on the energy obtained from sunlight and from organic matter, and so autotrophic and heterotrophic pathways can be closely linked. The smallest consumers of microbial populations are protozoans and micrometazoans, and these continue to be an understudied component of fluvial food webs.